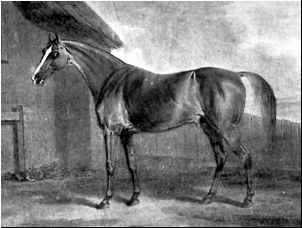 This is 18th century racehorse Potoooooooo. How is his name pronounced? Yes, it needs to be spelled with exactly eight “O”s. It was supposedly the result of a stable hand who couldn’t spell, and it stuck.